Most games following a season-altering loss are automatically labeled as a chance at redemption, a chance to reassert the program’s winning identity. Saturday night in Iowa City was that chance for Wisconsin football. 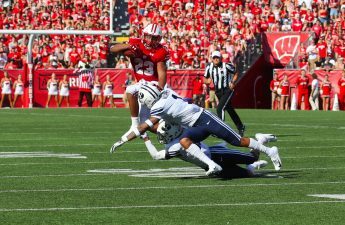 Wisconsin’s non-conference schedule had faced scrutiny considering the established high caliber the Badgers had proven in recent years, but suddenly they had to re-earn the nation’s respect. I’m not sure they succeeded. 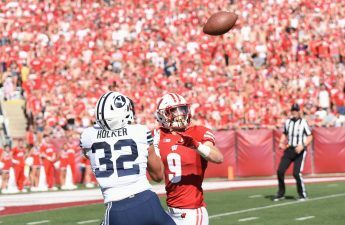 Before the season began, Hornibrook’s ability to carry the offense and an unproven secondary were the preconceived sore spots for the top five ranked Badgers. 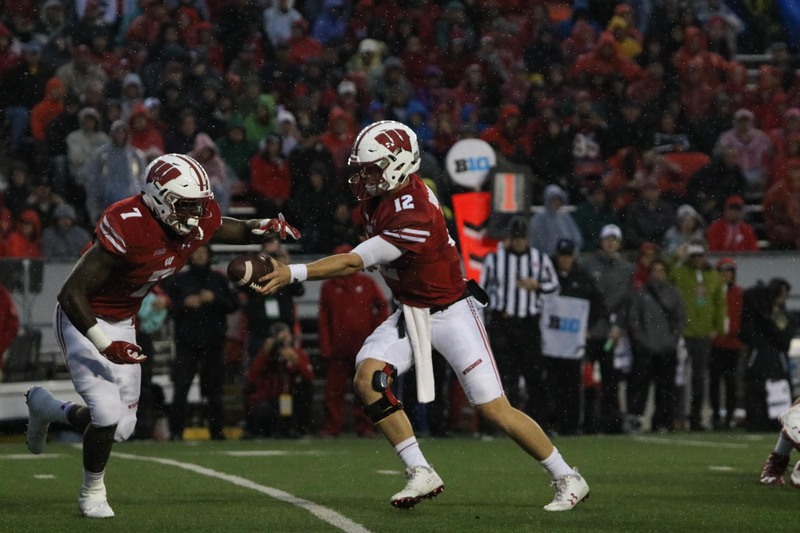 A lackluster pass rush and flimsy offensive line were supposed to be the reliable portions of Wisconsin’s identity. 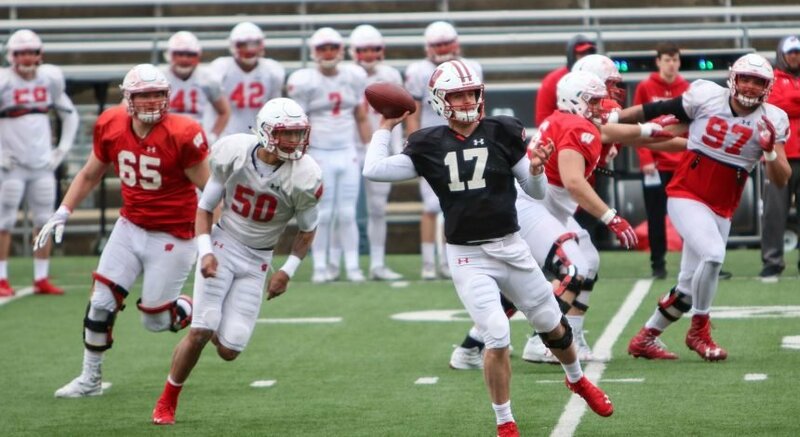 Yet Iowa quarterback Nate Stanley had a surplus of time in the pocket — Hornibrook was attacked from all angles. Yet a Wisconsin defense heralded as elite across the FBS were consistently embarrassed by simple misdirections. Yet Wisconsin defenders proven as gifted tacklers let Iowa slip through their fingers at every turn. Wisconsin punted their first drive, Iowa’s first drive ended deep in Wisconsin territory only to be stifled on a gutsy but blown fourth down conversion attempt. Iowa surrendered five yards to penalty in the first half, Wisconsin coughed up 28. Passes downfield for Iowa seemed to always find the open receiver, rare Wisconsin heaves were broken up almost easily. By all accounts, unranked Iowa looked the better team at the half, yet the score was tied 7-7. But the once clear shot at redemption had begun to fade. A close victory would prove nothing — if anything it would show Wisconsin didn’t deserve their preseason ranking. Out-gaining Wisconsin was a figment of many opponent’s imagination historically, but midway through the third quarter, Iowa had a 64-yard advantage. But the universe was bent on giving Wisconsin a chance to save face. An unassuming Wisconsin punt somehow resulted in a red zone opportunity after an Iowa defensemen unknowingly kicked the ball. The eventual Danny Davis touchdown was undeserved, but Wisconsin lead 14-10. The lead felt hollow, like it was inevitable Iowa would counter, like the second touchdown should’ve never happened. A few short minutes later, Iowa had comfortably worked their way into the red zone, almost automatically. On queue, it was 17-14 Iowa. Wisconsin’s defense no longer felt like an advantage, they felt like a liability. Jonathan Taylor feels out of the Heisman conversation, not the 150+ yard per game workhorse he’d become. The script was there, the chances were frequent, and Wisconsin waited until the last possible moment to take it. A final Wisconsin drive, one we’d been waiting on for more than four quarters, ended in an AJ Taylor touchdown that gave Wisconsin the late lead that took too long to attain. Maybe the preseason critics we called too eager to pass judgement were right — Saturday night proved Wisconsin was still far from earning national respect. A win is a win, but Wisconsin’s late surge cannot be remembered fondly for the team to improve. This was a sloppy game, and one Wisconsin should have handled with more composure than they exhibited. 28-17 is your final in Iowa City. Wisconsin heads into a bye week with plenty to mull over.